Frigid temperatures are expected through Saturday with lows in the single digits and highs only expected to reach 19 degrees. During extreme weather conditions, seniors citizens and those who care about them, are urged to take extra precautions to stay safe. GALLIA COUNTY — The Area Agency on Aging District 7 is offering tips and suggestions on how to care for seniors during the winter weather. Their staff deal regularly with assisting the older citizens of Gallia County, and encourage people to regularly check on their neighbors, particularly around severe winter conditions. It’s important to make sure they have the resources they need to stay safe and healthy. Checking with a loved one should include seeing if they need any medical attention. Sufficient heat is a common problem during the cold months, which can lead to other health problems. The Area Agency on Aging also suggests making sure they have necessary amounts of food and drinking water as a lack of either will result in further problems. If someone is hurt or injured, the agency explains a call to 911 should happen immediately. It is also important to be prepared for the cold, winter weather. Preparedness can mitigate many problems that result from the freezing temperatures, including food and water and a capable heat source. An emergency kit should contain food and water as well as any medications needed that will last three days if they become shut in from weather conditions. The agency also recommends having a battery operated radio, flashlight, extra batteries, a blanket, a first aid kit, and a loud whistle or bell to alert others nearby if necessary. If the conditions in the home become too severe to stay, having a backup place to go in mind before the incident occurs and a way to get there safely can prevent further emergencies. The agency suggests having a friend’s or neighbor’s home or a public shelter as possible options. In any circumstance, plan to have ready access to any medical equipment necessary such as cans, assistive devices, oxygen tanks, or anything else necessary to get through the emergency. The area agency on aging also suggests having a way to keep the temperature in the home comfortable and safely. They recommend only using space heaters that have been tested and certified to the latest safety standards, and never leave one unattended. It is dangerous to use appliances designed to heat your home for that purpose. 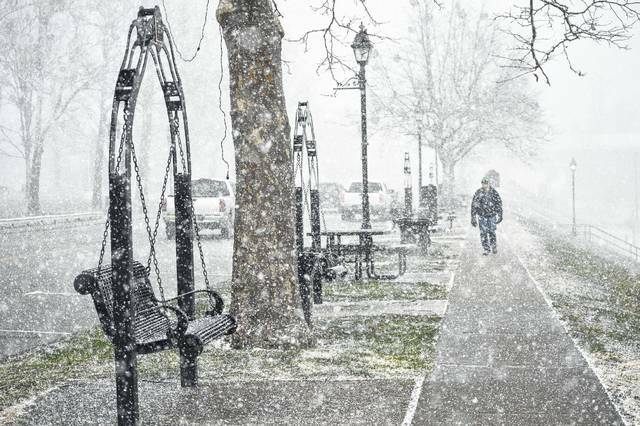 If an elderly citizen needs to leave the home, preparing for winter precipitation can reduce the chances of a fall related injury. Make sure proper footwear is worn, and wear layers to stay warm. Anytime someone is travelling in winter weather, give extra time for reduced speeds from rain and snow. The Area Agency on Aging District 7 can help identify community resources for seniors in the area. all the AAA7’s Resource Center at 1-800-582-7277 Monday through Friday from 8 a.m. until 4:30 pm.